Details: Wood details and trim. Historic Features: Gable over garage and front entrance; wood boards in gable apexes; chimney stack on east elevation; small dormer in secondary garage opening. 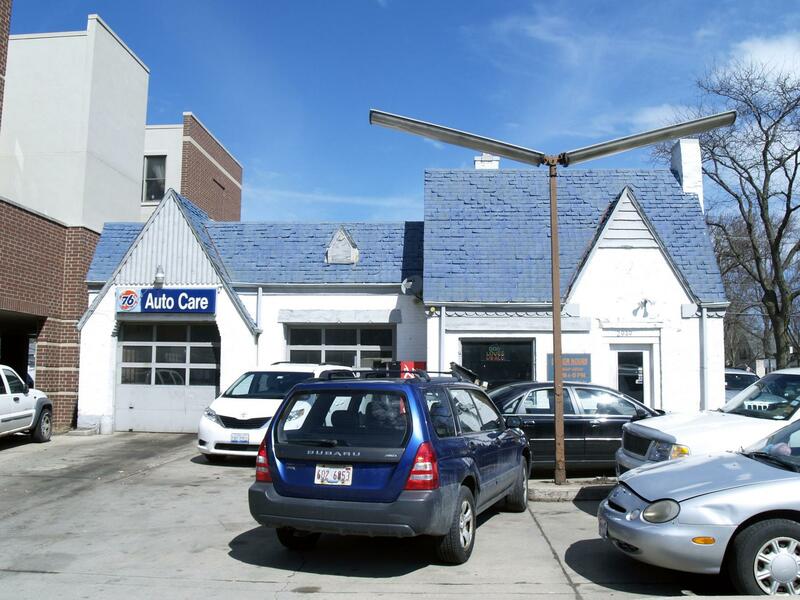 Exterior Alteration Permits: BP#34214, 1959.06.29, 1-sty masonry addtn to exist Pure Oil Service Station 42'Wx30'-8"L $12,000. owner Pure Oil Co., mason/carptr Storgaard Const. 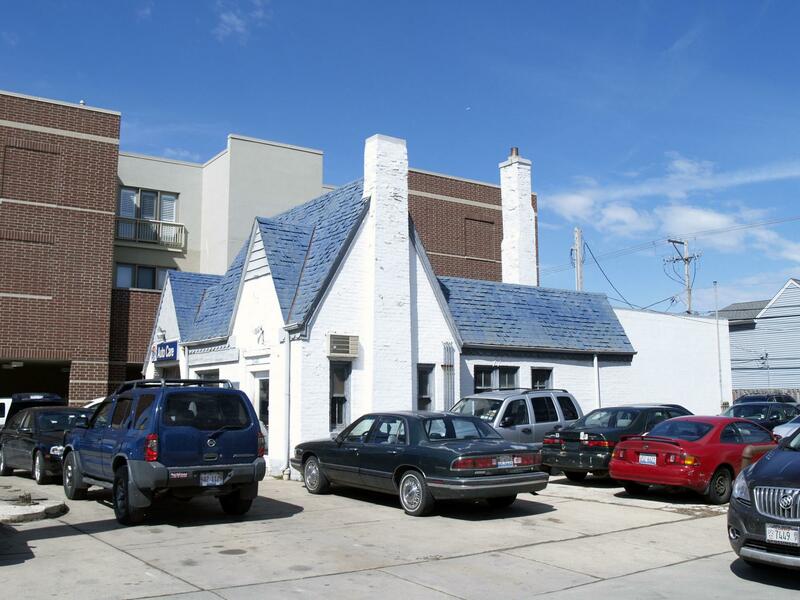 Historic Info: Evanston Landmark. Statement of Significance: "An excellent and very rare survivor of an important phase in the design of service stations which traditionally have attempted to reflect the dominant popular styles of the moments in which they were built, this one presents itself as a village cottage..."